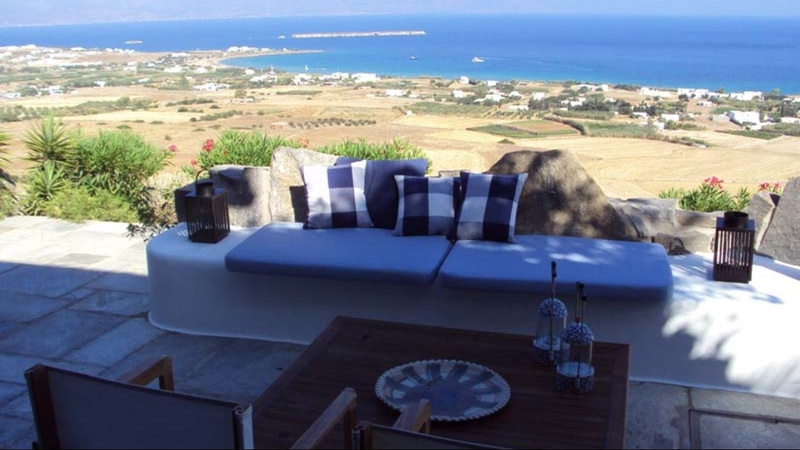 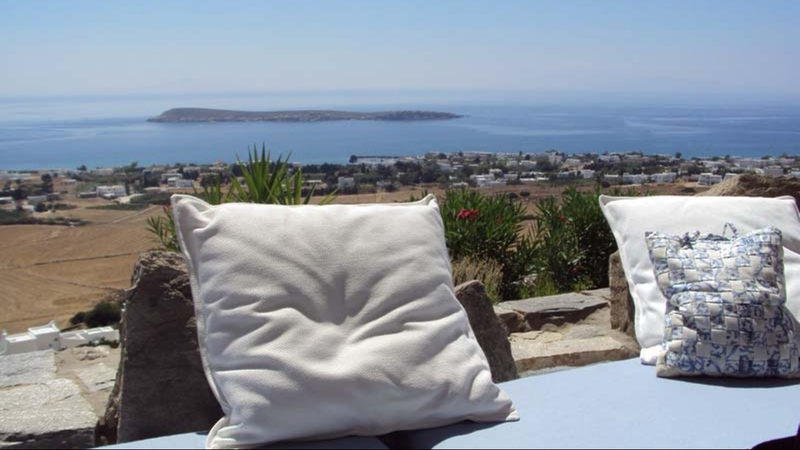 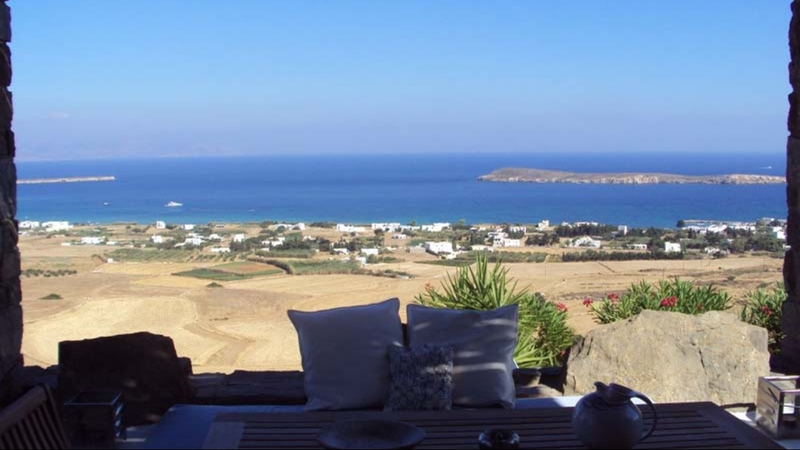 Overlooking the blue of the Aegean, this holiday villa is a charming private property rental, located in a very panoramic position just a few minutes drive from the sea. 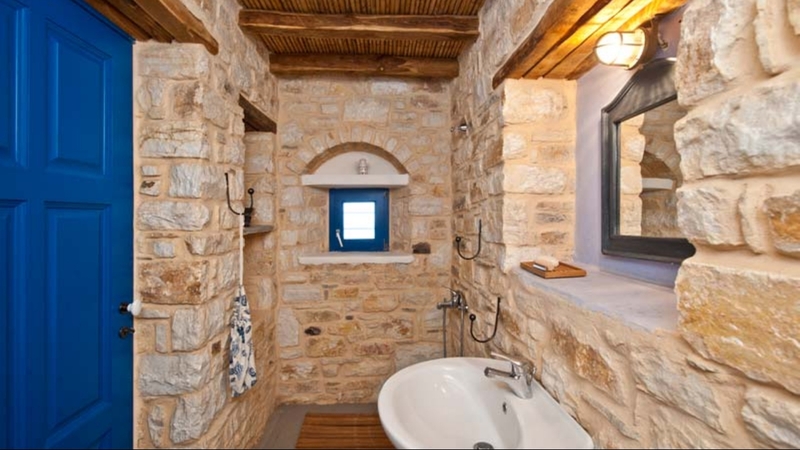 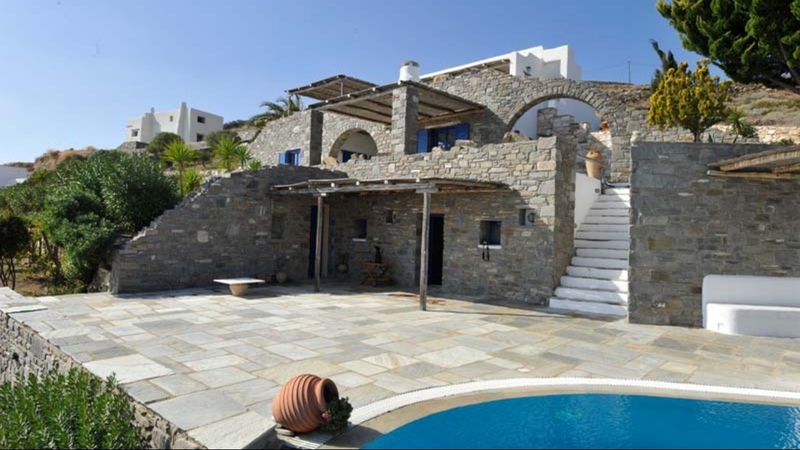 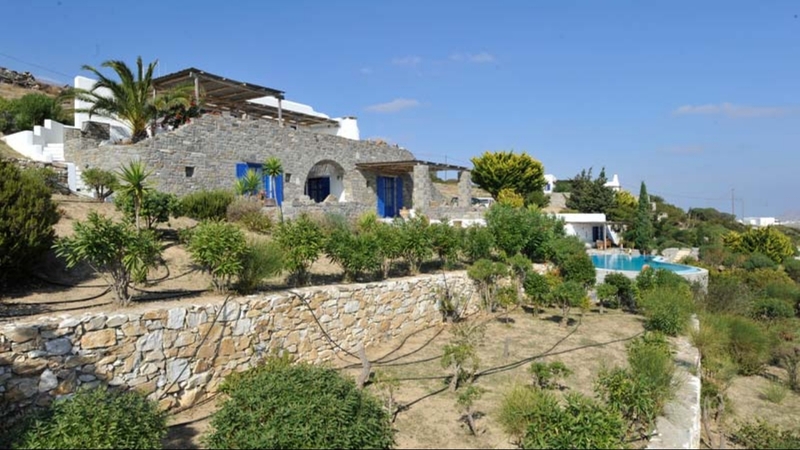 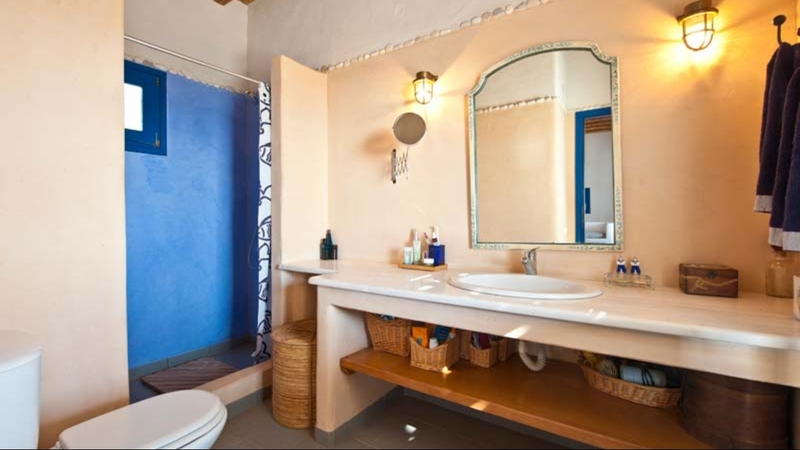 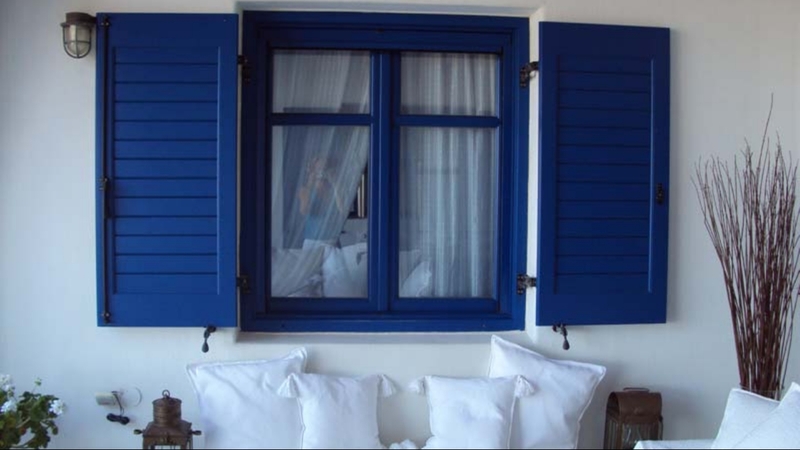 This is the perfect choice for a relaxing family holiday in a stylish villa on the island of Paros. 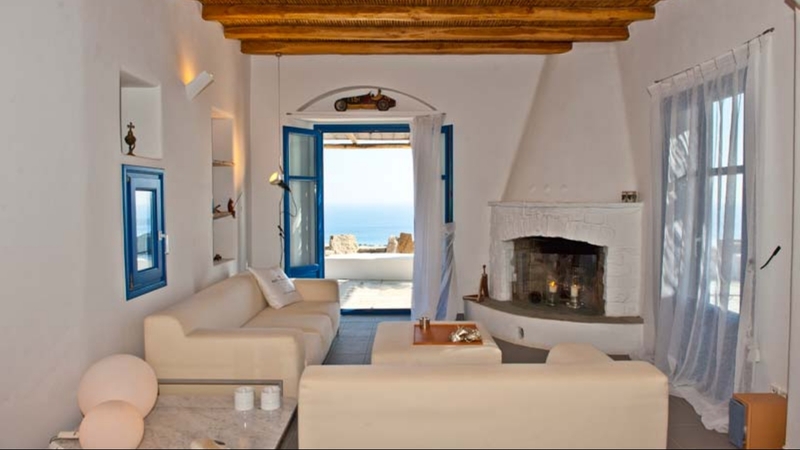 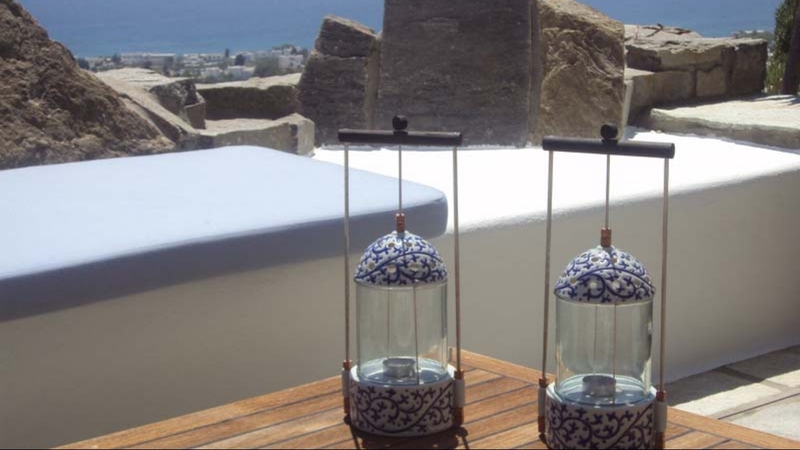 The house, built with the typical Cycladic architecture, comprises of three levels and a well kept terraced garden. 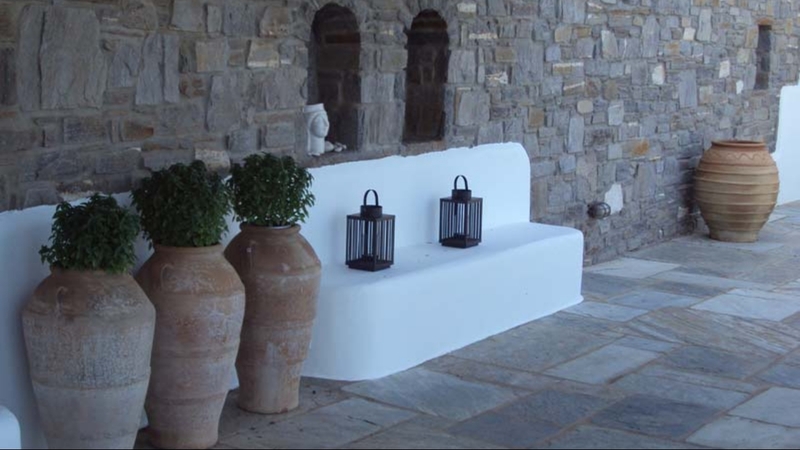 A spacious outdoor terrace shaded by a traditional Greek pergola surrounds the main entrance floor. 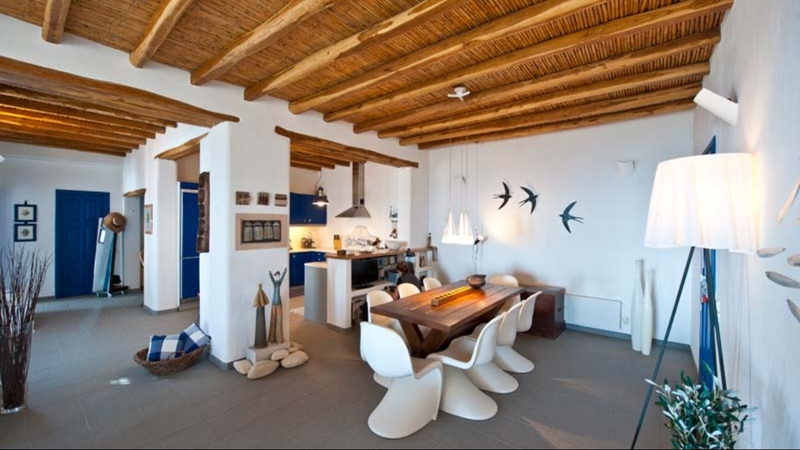 The main entrance opens on to a cozy indoor living area with seating and a large dining table decorated with contemporary art pieces. 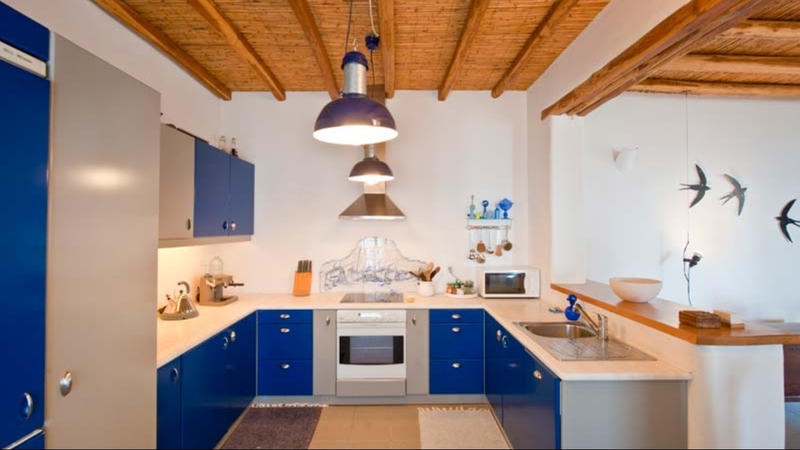 There is also a well-equipped open-plan kitchen with a comfortable bar area. 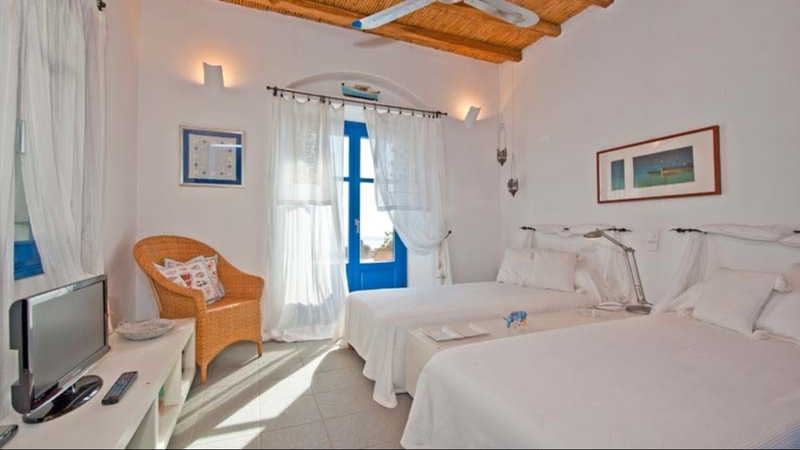 Located on the same floor is the main guest bedroom with twin beds, with access to the terrace with sea views. 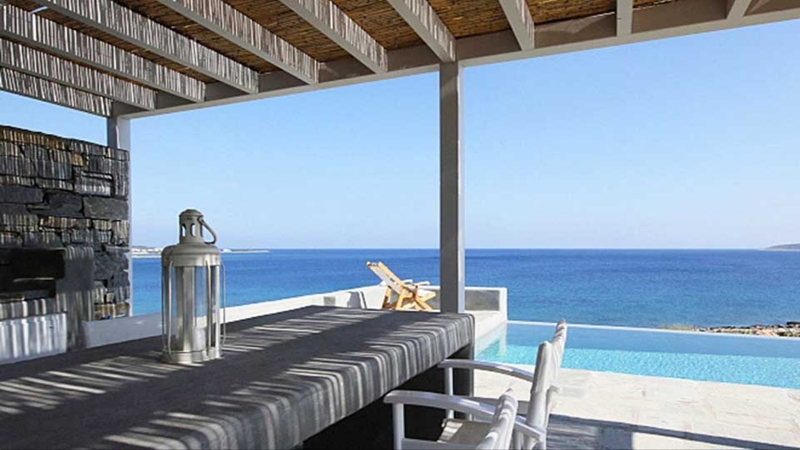 The upper floor is dedicated to the master bedroom with a large en-suite bathroom, and access to a spacious roof veranda with great panoramic views. 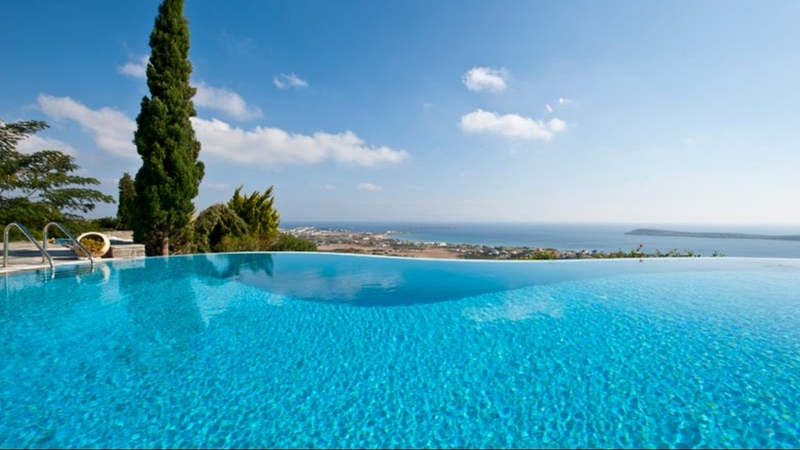 The property’s private infinity pool was built on the lower floor and is surrounded by green trees and a garden with a spacious outdoor pergola and sundeck. 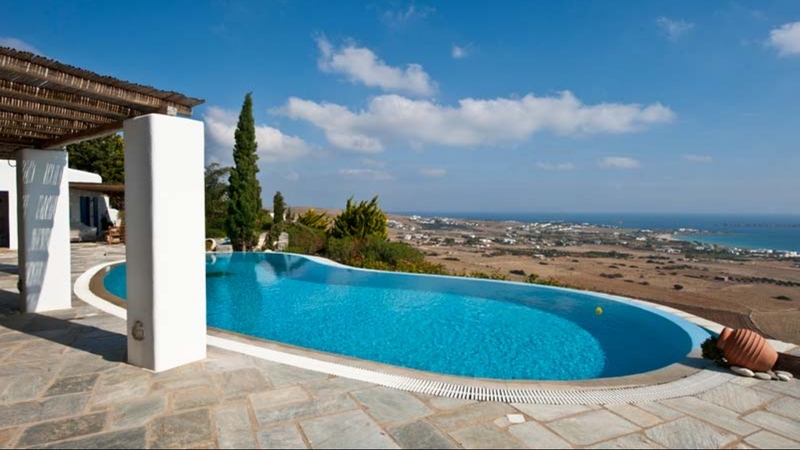 From the pool patio there is access to another attractive separate guest bedroom with a double bed, en-suite bathroom and sea views. 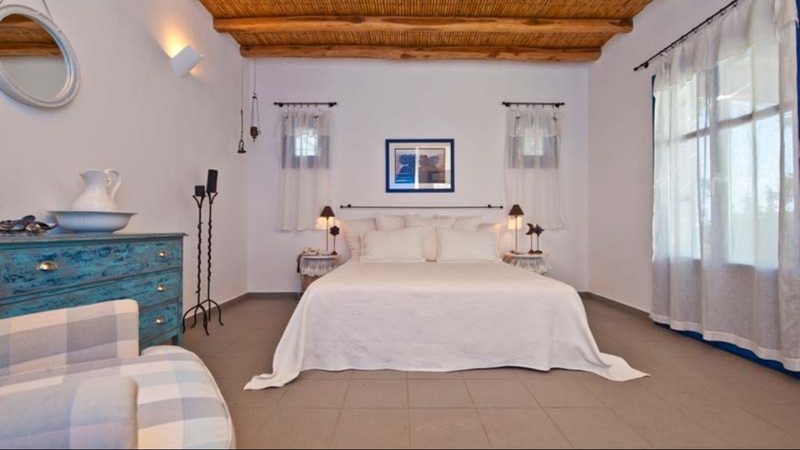 There is a smaller stone studio on the pool level with a sofa bed and private bathroom, ideal for teenagers or nanny. 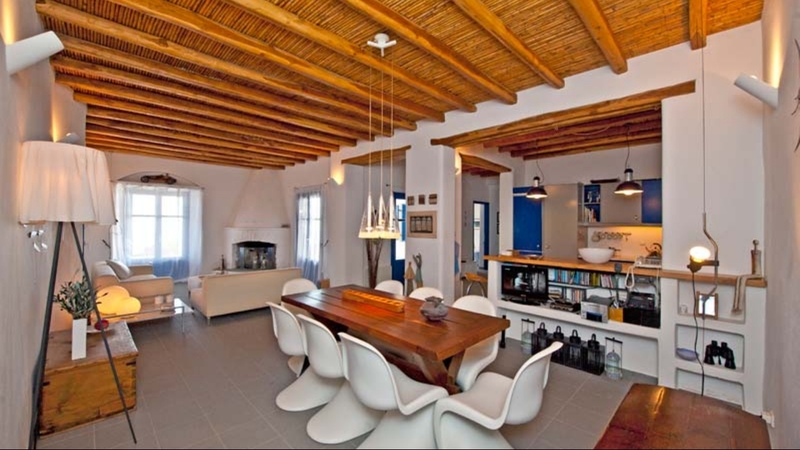 The studio can serve as cool sitting room of the pool area as well. 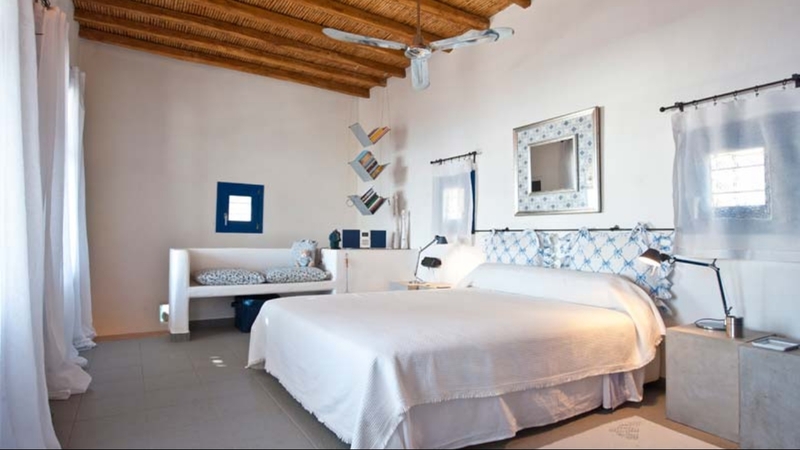 The rates include daily maid service, linen, towel change every 3rd day, meet and greet upon arrival. 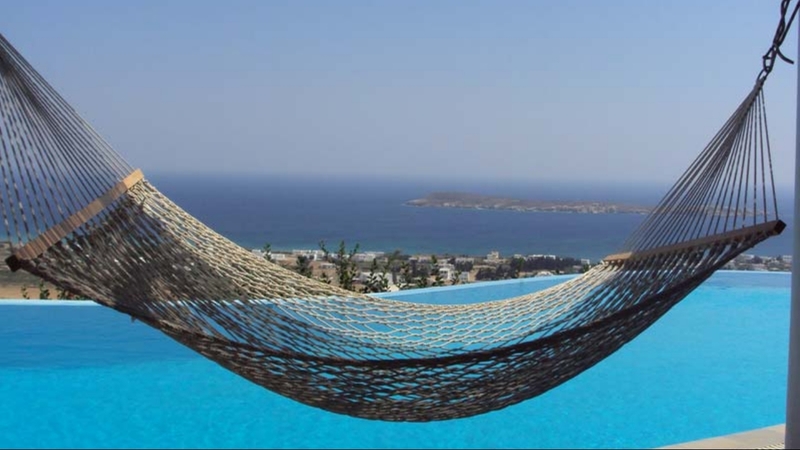 Internet access is available through mobile Internet USB stick.